 Our Association, The Permanent Secretariat of the World Summit of Nobel Peace Laureates, was created in 2006, and is an independent, non-profit, non-governmental organization, with its own board, based in Rome and operates on a permanent basis. Vadim V. Zagladin, who was also the founder of the PermSec, conceived the Summits, which were promoted by President Mikhail Gorbachev and the former Mayor of Rome Walter Veltroni. We are supported by a volunteers based philosophy staff, linked with our own representatives in Italy, France, Germany, Russia, United Sates, Asia and Africa, working together to explore new opportunities in the pursue of our association goals. Our philosophy and our highly devoted volunteers permit to maintain minimum staff and a low overhead ratio. The Permanent Secretariat is responsible to interact with the participants of the World Summits of Nobel Peace Laureates ensuring the adequate preparation, organization and development of the Summits’ meetings. According to its statutes, the Permanent Secretariat does not represent any Nobel Peace Laureates externally, unless otherwise explicitly requested. Along with the organization of the World Summits, the Permanent Secretariat is responsible to disseminate the documents and decisions adopted by the Nobel Peace Laureates and Organizations during the World Summit of Nobel Peace Laureates, such as the “Charter for a World without Violence” as well as promote the ideas and work of Nobel Peace Laureates. the Permanent Secretariat monitors the activities of Nobel Peace Laureates, supports the work of Nobel Peace Laureates, who participate in the annual Summits, and serves as the platform for their networking. We aim to strengthen humanitarian and non-violent thinking in support of human values. We believe all people should have the opportunity to positively contribute to society in the regions they live in. We think the best way to achieve our goals is to share solutions and to encourage initiatives by those who already lived a similar experience. We promote the environment where those, who have unique knowledge, can help others build a common understanding, and enable them to face the same problems with proved solutions. We focus our efforts on capacity building in order to help young people and citizens creating sustainable and successful communities. • Establish the proper environment and promote the engagement of Nobel Peace Laureates “NPL´s” in order to share their knowledge and experience engaging the minds of ordinary people in general and the young people in particular on real matters that pertain to global affairs, conflicts, world without violence, racism, poverty, global environment, diseases, proliferation of weapons focused on global peace on the planet. • Organize the World Summits of Nobel Peace Laureates annually as a platform to consolidate peace efforts and strengthen global security (link to the page about the Summit). • Ensure the coherency of the activities of the Summits. • Monitor and support of the Nobel Peace Laureates activities through our global network. • Youth and citizens social formation including tools for global online education. • Support of major youth and citizens initiatives deriving from our programs. • Foster and implement an adequate networking for youth, citizens, business and authorities in their effort to create better common solutions for facing social problems. • Promote sponsors integration into social matters through the Summit platform and Summit’s programs. • Engage the minds of young people and citizens on real matters that pertain to such global affairs like conflict resolution, global environment problems, disarmament, humanitarian and social issues etc. that broaden vision and opens up new horizons for a more peaceful and compassionate thinking. • Provide practical support of students and citizens initiatives that arise out of the Summits or reflect the elements of our programs. • Yearly Youth Program – “Leading by Example” with involvement of international youth and professors from around the globe. • Networking platform for youth, citizens, business and government to share their experiences in taking social matters. • Networking platform for the support of Nobel Peace Laureates activities throughout the world. • Initiatives platform with sponsors to educate and encourage youth and citizens by sharing practical knowledge and experience in social matters through the Summit and its networks.